The reigning APSL Champions will take on NASL-side, Fort Lauderdale Strikers this Wednesday at 4pm in a closed-door scrimmage at Lockhart Stadium to kick off the 2016 Pre-Season. 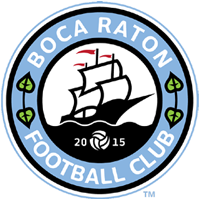 Fans will be able to follow along via social media by following Boca Raton FC on twitter at twitter.com/bocaratonfc. Under new head coach and general manager Caio Zanardi, the Strikers face FC Schalke 04 of Germany at the end of the week as part of the 2016 Florida Cup.